Ann currently serves as the firm’s Chief Business Development Officer, and is responsible for providing daily direction and leadership to branch office development, recruiting, business development and communicating the IAA story nationally to attract new FA’s to the firm. Ann’s recruiting responsibility is to help representatives and offices evaluate how IAA can aid them in meeting their business goals. Her team works closely with representatives and offices during the process of joining IAA to help ensure a smooth and efficient move. Ann approaches her responsibilities with enthusiasm, problems solving and total commitment. Mentoring youth in the Boys Scouts of America for years, Ann knows from experience that teamwork leads to excellence, and that’s reflected in her leadership philosophy. 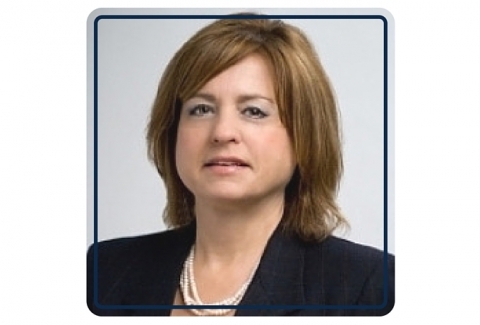 In May 2008, Ann joined International Assets Advisory LLC and shortly thereafter became the Chief Compliance Officer. As CCO, Ann was responsible for the overall compliance of the firm and assured firm compliance with FINRA/SEC rules and regulations regarding supervision and record keeping. She served as CCO until 2014 when she assumed the role of National Sales Manager. During her time as National Sales Manager/Head of Business Development, Ann has overseen the growth of IAA’s business by 150 percent. Ann Moore and her family reside in Orlando, Florida, a native of Salt Lake City, Utah she received her Bachelor of Science Degree in Microbiology from Brigham Young University in 1987. Ann holds her Series 7, Series 3, Series 24, Series 30, Series 63, Series 65 and Series 79 securities industry licenses. Ann currently serves on the Board of ADISA, Alternative Direct Investment Securities Association, as Secretary of the Board.